I cannot believe we are nearing the end of summer! This past month has been a complete blur but thankfully its been all great things. Moving into our new house, a couple vacations and a family wedding. This weekend we are hosting our first family BBQ to celebrate Labor Day. 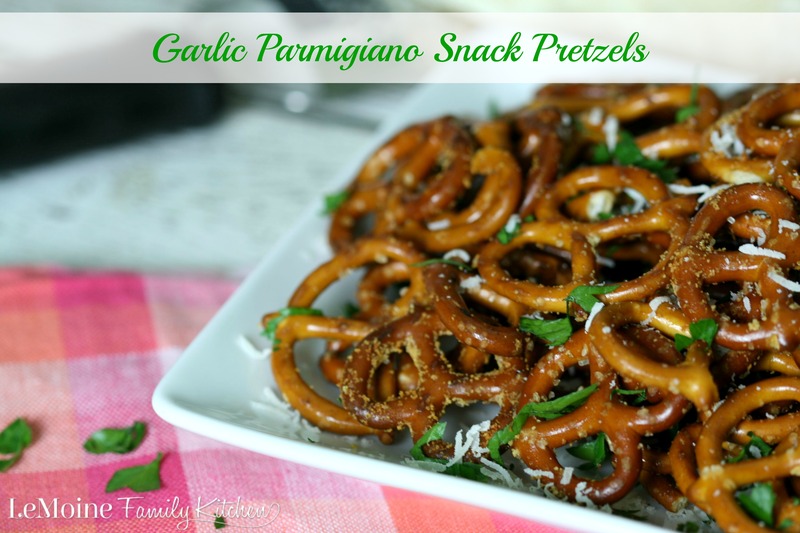 I’ll be making some simple and delicious snacks to start out with including these Garlic Parmigiano Snack Pretzels. When hosting a get together you should always keep it simple so that you as the host can enjoy yourself as well. These pretzels take 10 minutes start to finish and they are so incredibly flavorful! I took mini pretzels, tossed them in melted butter and garlic powder. 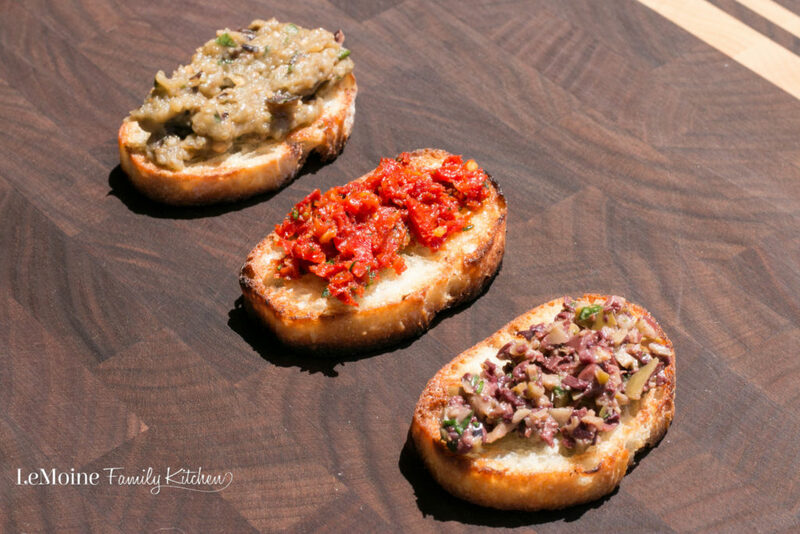 Baked in the oven for 8 minutes then toss with fresh chopped parsley and lots or freshly grated parmigiano reggiano, an Italian staple. 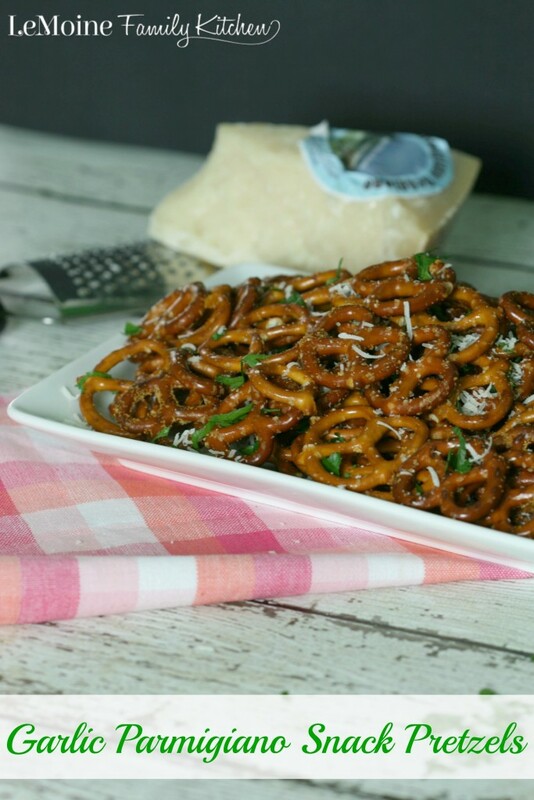 With just a few ingredients you’ve completely transformed a bag of snack pretzels into something amazing! Toss the pretzels with the melted butter and garlic powder to coat. 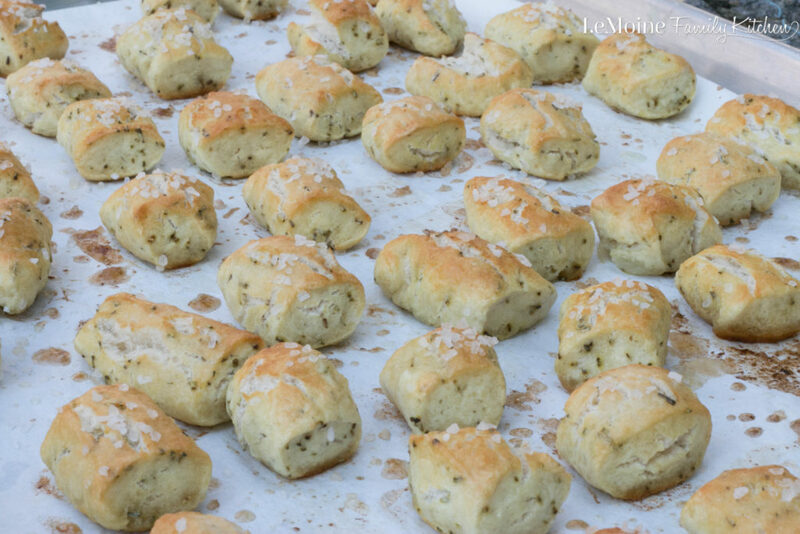 Place the pretzels on a lined baking sheet. Bake for 7-8 minutes. Toss the warm pretzels with some parsley and grated cheese. Plate and top with some more cheese.